20 Free quiz questions about dieting to lose weight. Will take you 5 minutes to answer these 20 questions. These quiz questions It should give you an indication of how likely you are to achieve your weight loss goals. If nothing else, it's a fun way for you to learn about dieting. Simply answer these free quiz questions with (a) (b) (c) (d) or (e) to each one. Don't think too hard about it, just make a note of your first instinctive response the first that come to your mind, then just add up your points. 1. Are you happy to lose an average of 1.5 to 2 pounds per week? 2. Are you easily distracted by commercials (or friends) who tell you about quick ways to lose weight? 3. Are you aiming for a specific weight? 4. Before dieting, do you take measurements of your chest, waist, hips, arms and thighs? 5. Being realistic, how likely are you to achieve your weight loss goal? (e) Despite many failures, I'm totally confident I'll succeed this time. 6. Do you have a good personal incentive to lose weight? 7. Do you expect to have bad weeks? 8. Have you got a specific plan for when you have a bad weeks? 9. How important is breakfast to you? 10. How willing are you to make time for exercise? 11. How do you feel after (say) a disastrous weekend of overeating? (b) Hmm. That was much more fun than dieting! (c) I may have lost a week, but I'm back on the wagon - what's the rush? 12. How do you feel when you start a new diet program? (c) I'm not going to fail again. This time I'm going to do everything right. 13. When dieting, do you aim to be perfect? 14. 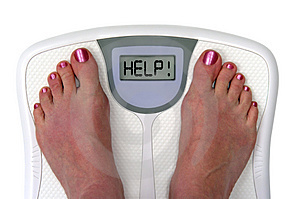 When dieting, how often do you weigh yourself? 15. When dieting how long do you go without eating something? 16. When dieting, how do you feel when you see others eating your favorite foods? 17. What do you do when you feel hungry after eating your daily food allowance? 18. Which statement do you most agree with? 19. Which statement do you most agree with? 20. Why are you trying to lose weight(it is the most important on this free quiz questions? After you finish and before going to answering this free quiz questions I suggest you to do it with an open mind, be true to yourself and your body. Return to Lose Weight home page from this Free Quiz Questions page .